In an age defined by technological progress, it never ceases to amaze us how primitive many administrative processes remain. Excessive paperwork. Sluggish payments. Incessant reliance on third parties to execute contracts. Each still a pain-point in today’s society, and no more so than in the world of luxury where the task of renting a superyacht requires an exhaustive list of steps and intermediaries, which ultimately becomes overwhelming. One thing’s for sure, there is ample room for improvement: whether in condensing steps or simply eliminating administrative effort, it would make a world of difference for all parties involved. And we’re closer to the ideal than you might imagine. Smart contracts are lines of code stored on a blockchain. They execute automatically when predetermined conditions are met and provide a host of advantages over traditional processes. Trust and Security: Based on distributed ledger technology, the integrity of the documents included in the smart contract process, is significantly improved. Courtesy of the tamper-proof nature of a blockchain: corruption, theft, or destruction of contracts — and other documents— is also near-impossible. Immutable: Smart contracts themselves are unalterable, meaning the original agreement always executes as intended. No Third Parties: Smart contracts can remove the need for intermediaries as third-party verification is not required. They execute automatically as determined by computer code. This reduces the time and cost associated with manual verification and returns control to the original parties. Automation and Interoperability: Smart contracts can interact with each other automatically, which allows them not only to replace single links in a sequence of processes but to do so sequentially: Instead of waiting for the painfully slow transfer of information between third parties, the execution of one smart contract can automatically trigger the next. In theory, entire networks can be deployed using smart contracts, and then operate in a completely autonomous way. To pave the way for smart contract usage in the luxury niche, Elitium has deployed its own native cryptocurrency: EUM. The currency makes it possible for Elitium to provide pre-coded smart contracts, which clients can customize in line with any level of rental agreement executed on the Elitium platform. If the access code isn’t used before a predefined time, the owner receives a liquidated damages payment in accordance with the original agreement. The above process would require no third party involvement, significantly accelerating the task — all without compromising any party’s key interests. Few platforms currently have the speed, scalability, and flexibility to accommodate the demanding requirements of Elitium’s smart contract process. As such, Elitium decided to build on EOS.IO. EOS is one of the most successful smart contract platforms to date, accommodating near-instant payments, higher scalability, and the ability to process thousands of transactions per second. 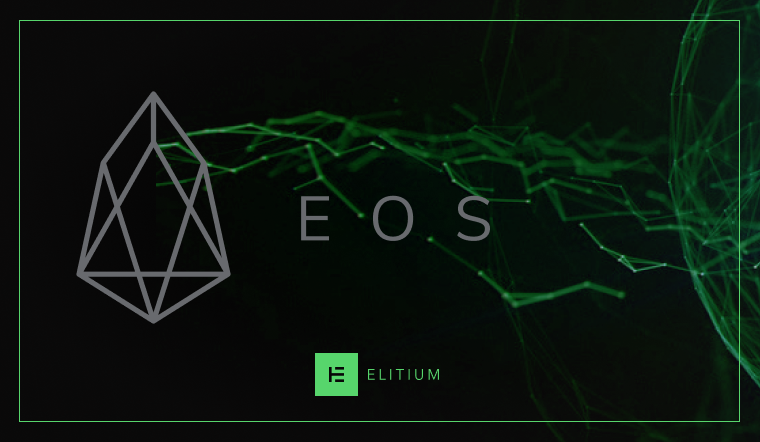 Where other less-scalable platforms could hinder the performance of Elitium’s smart contracts owing to transaction latency or a clogged network, EOS will provide the reliable, robust foundation Elitium needs to offer efficiency and user-friendliness to its clients. Do not be fooled: Smart contracts are not limited to yacht rental. They will play a huge role across the entire luxury niche, especially in the context of Elitium’s partners and core platform services. Or (almost) any other of its luxury rental agreement services. The potential for smart contracts to revolutionize luxury is boundless. Now, Elitium is building out its ecosystem to harness the technology in as many ways as possible — underpinned by the incredible technology of EOS. EXPLORE A NEW PARADIGM OF LUXURY BY REVIEWING THE ELITIUM WHITE PAPER HERE, OR VISIT THE ELITIUM WEBSITE FOR AN OVERVIEW OF OUR PROJECT. IF YOU’RE A FAN OF WHAT ELITIUM IS TRYING TO ACHIEVE, SHARE A 👏 TO HELP OTHERS SEE WHAT WE’RE ABOUT. — Transforming the world of luxury — with a global network for luxury lifestyle and its members through a secure, fast and easy to use payment service on the blockchain.